Original Feminized Flash Back, available in a choice of 3,5 or 10 seed packs. 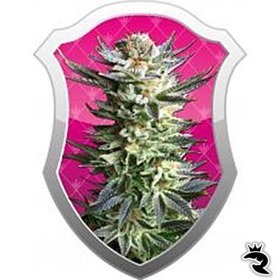 Flash Back Feminized Seeds are available in a 3,5 and 10 packs. Extremely good yields and a very manageable plant - highly potent and versatile strain. Euphoric Highs, Sugary Sweet, 8 Weeks from Seed! Freeze Berry Seeds were the result of an open-air breeding accident, but they're still top-notch. Buds are dense & frost covered with an impressive 15% THC rating. And, you can't complain about the speed! 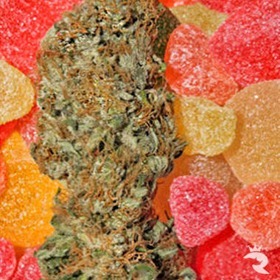 Fresh Candy is the Ultimate Sweet Tooth Pheno! If you're a Sweet Tooth fan, don't miss out on Pyramid Seeds' new Fresh Candy. These feminized seeds are the absolute best pheno from the original 2001 creation with fresh, candy-like flavors. Sweeeet! Easy & Beginner Friendly - Slacker Weed! 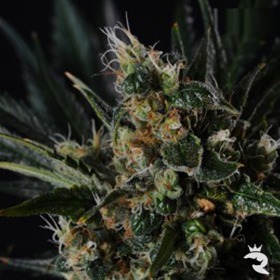 In all honesty, Frisian Dew is the most BEAUTIFUL outdoor variety we have ever encountered. We have never seen ANYTHING come close to this hybrid. A feminised G-13 hybrid that's heavy in yield and super-heavy in effect - not every smoker can pull this many Gs!